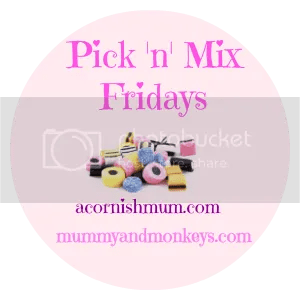 Hi and welcome to our fourth Pick ‘n’ Mix Fridays. A brand new blog link up with me and the lovely Stevie over at A Cornish Mum. We welcome you to link your posts on any topic, the more variety the better. My favourite post from last week is 4,128 miles moving post on grief. Make sure you have a read. "Child friendly holidays in Cornwall – The Valley"